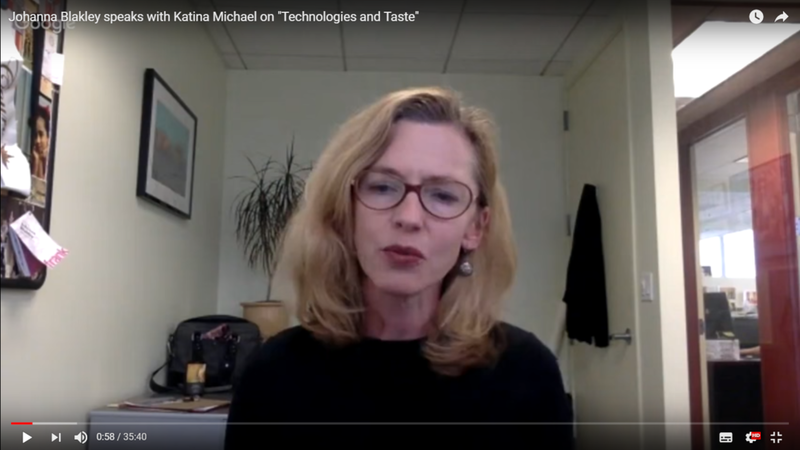 Johanna Blakley on "Technologies and Taste"
Johanna Blakley, the Deputy Director of the Norman Lear Center (a media-focused think tank at the University of Southern California), speaks with Katina Michael on her latest paper titled: "Technologies and Taste". Be sure to listen to Johanna's inspiring TED talks. Blakley has worked across a huge variety of media platforms -- producing for the web on a large scale, conducting gaming research, coordinating events for film festivals and executing consumer research on entertainment and politics. Her paper will appear in the March 2017 issue of IEEE Technology and Society Magazine guest edited by Ramona Pringle, Katina Michael and MG Michael.